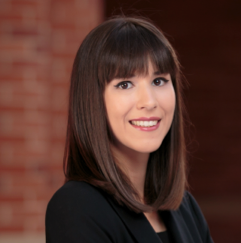 Carolina S. Lourenço is a second-year MBA student at UCLA Anderson specializing in technology management. Carolina has four years’ startup experience in B2C and B2B technology companies, leading customer success, operations, and business development, with a strong focus on defining product functionality and features. After graduation, she will be joining Amazon in Seattle, where she will serve as a senior product manager. What sorts of startups did you work in before coming to Anderson? I started my career at Uniplaces, a B2C startup providing a marketplace platform for student accommodation. At Uniplaces, I led the Bookings and Customer Care teams over a period when the company expanded from one city to 39 and from ten employees to more than 100. Two years later, I left Uniplaces to join Unbabel, a Y-Combinator B2B startup harnessing the power of Artificial Intelligence to enable scalable translations. At Unbabel, I managed partner business relationships with senior leaders at large US and European tech enterprises. Your career has taken you to a variety of distinct cities and countries; what have been some highlights? I have had the chance to live in six countries and visit more than 50. Being exposed to different cultures has been a defining part of my life and shaped my personal and professional development tremendously. It helped me in becoming increasingly adaptable, finding common ground more quickly with others, and being more creative in problem-solving. How did you initially find the Adam Smith Society? I found the Adam Smith Society through Andriy K. and Iryna P., who were already members of the UCLA Anderson chapter. After learning about the Society’s mission and events, I decided to join. What excites you most about your future role at Amazon? Amazon is an incredible place to grow as a product manager because of the company's disruptive nature and obsession in creating value to customers. I spent last summer at Amazon as an MBA intern and found myself working with some of the smartest people I’ve ever met on challenging and impactful problems. I look forward to returning this July.